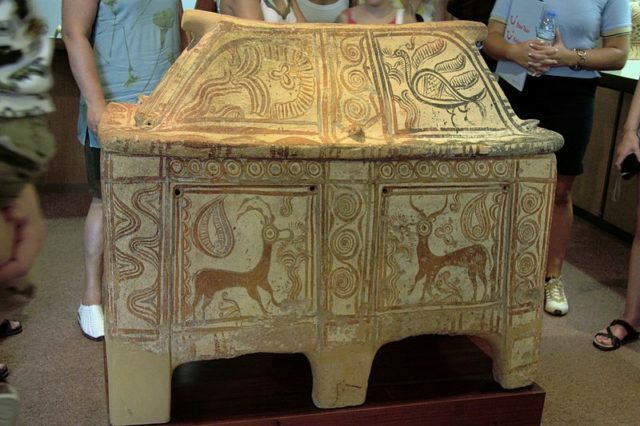 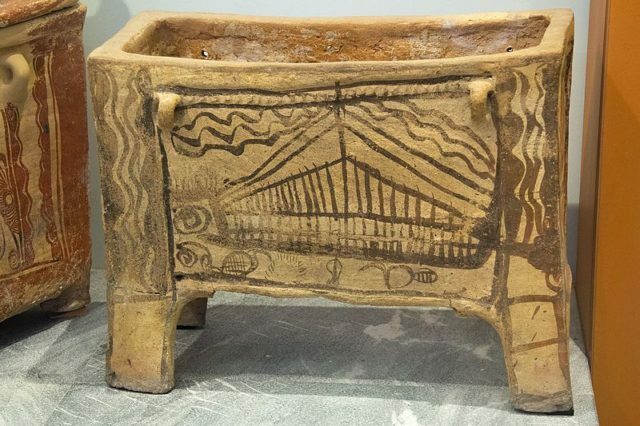 A larnax is a type of small closed coffin, box or “ash-chest” usually made of clay and often used as a burial container for human remains in ancient Macedonia, either a body (bent on itself) or cremated ashes. 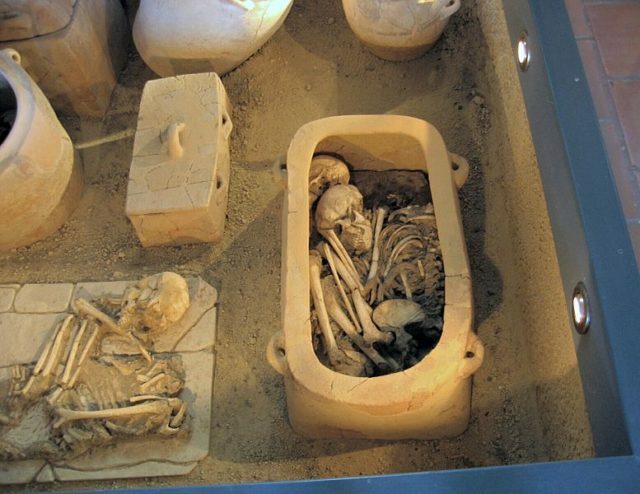 In the ancient period of Macedonia, keeping the human remains of their beloved families was a common practice. 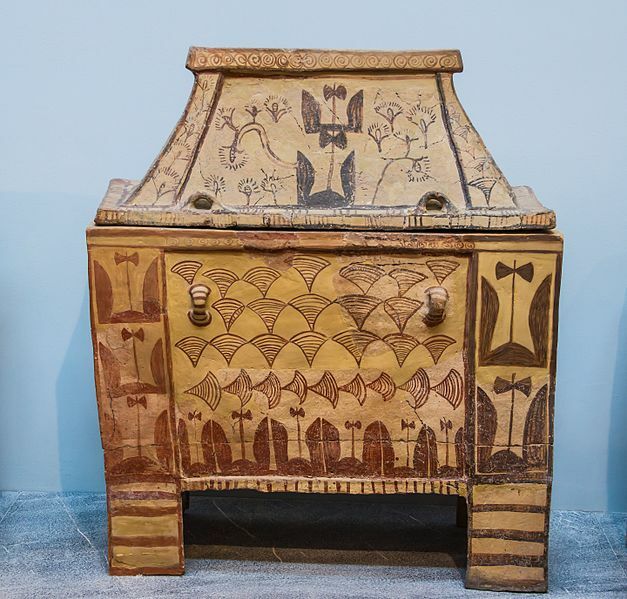 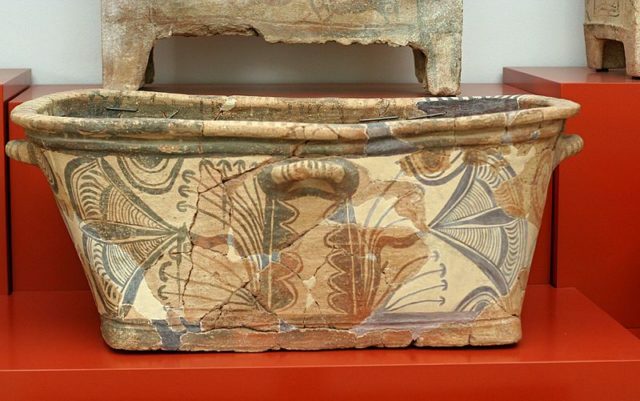 The first larnaxes appeared in Minoan times (2000-1550 BC) when they took the form of ceramic coffers designed to imitate wooden chests, perhaps on the pattern of Egyptian linen chests. 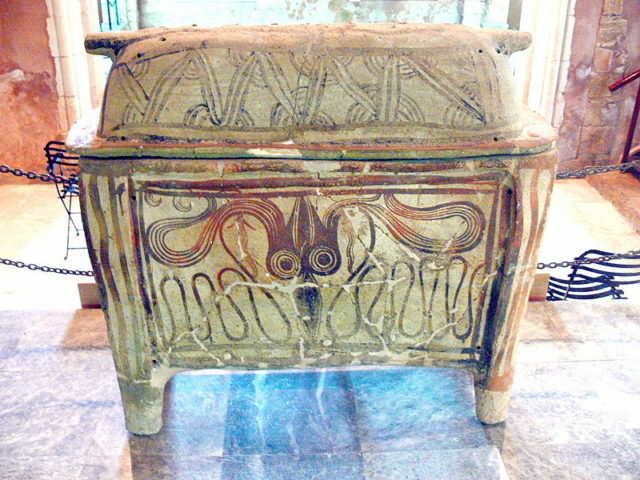 During the Late Minoan period III (1400-1100 BC) a specific type of larnax with inscriptions appeared. 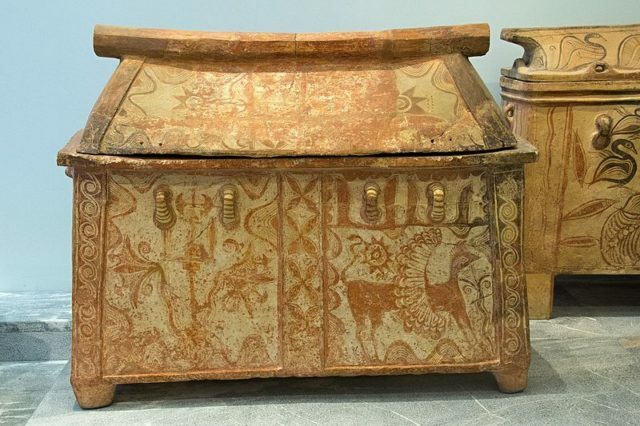 They were decorated with schematized themes which often covered the entire surface (abstract patterns, sacred horns, bulls, octopuses, and scenes of hunting and cult rituals). 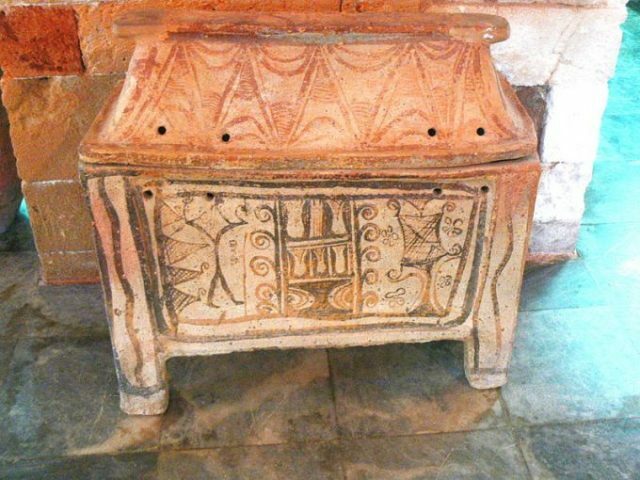 Larnaxes in the form of small terracotta sarcophagi became popular during the later Hellenistic period, some of which were painted in similar styles to contemporary Greek vases. 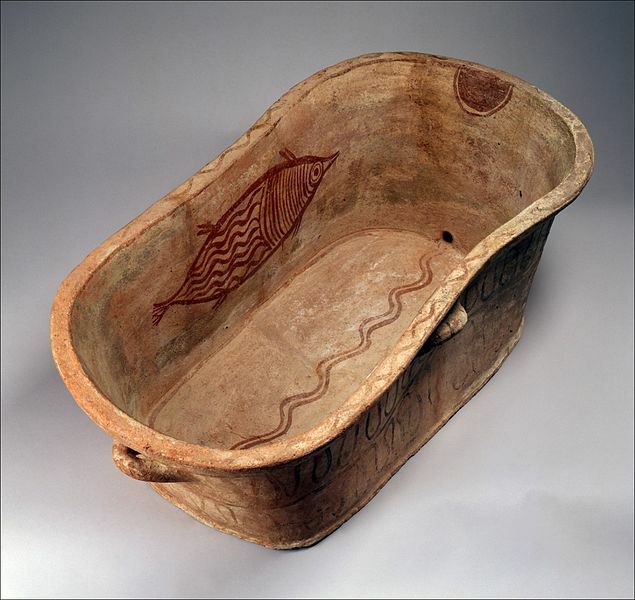 Functional bath-tubs, the earliest known in the West, have been found at Bronze Age palaces such as Knossos and Pylos. 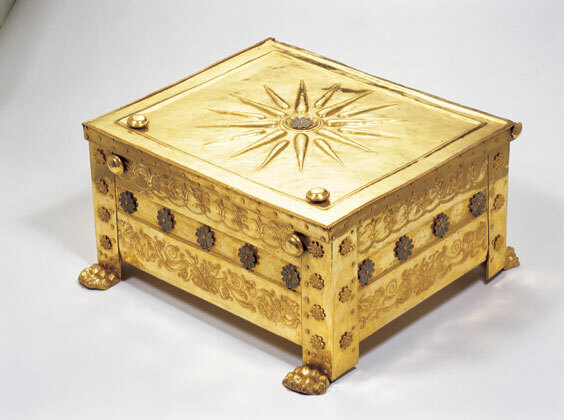 In a few exceptional cases, larnaxes appear to have been made out of precious materials. 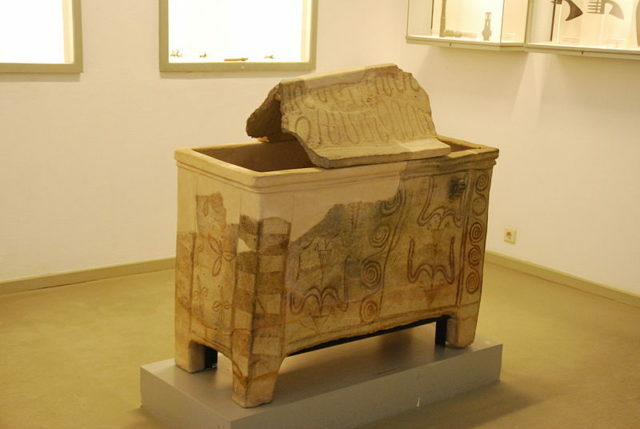 One such example is the 4th century BC larnax found at Vergina in northern Macedonia. 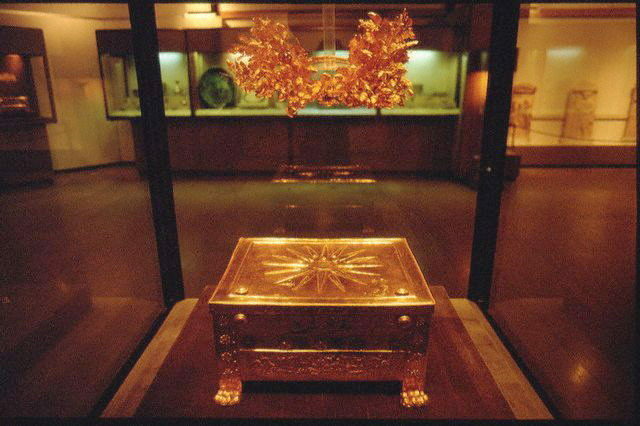 It was made of 24-karat gold, with a total weight of approximately 8 kilos. 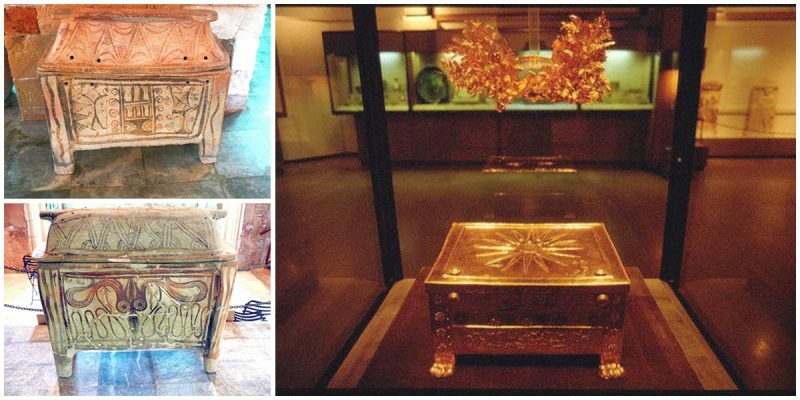 The tomb where it was found is thought to have belonged to King Philip II of Macedonia, father of Alexander the Great, and it is one of the most valuable objects of the ancient world that are preserved to this day.